Fans attending this week's Genesis Open will have a bit of deja vu when it comes to the tournament host. Tiger Woods is returning to Riviera for the second straight year, and just like last year he'll play the first two rounds in a featured group alongside Rory McIlroy and Justin Thomas. 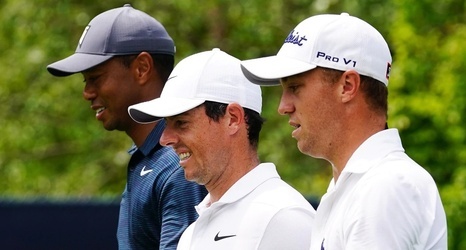 Things didn't go so well for Woods last year, as he missed the cut, while McIlroy and Thomas both notched top-20 finishes. This will mark Woods' first start since a T-20 finish at Torrey Pines, and his 13th appearance at the Genesis, which remains the only event he has yet to win despite making 10 or more appearances.